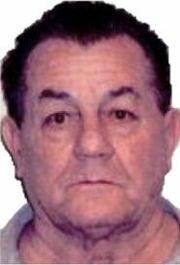 For years, continuing until 2017, Esposito conspired with other members and associates of the Genovese crime family to commit a wide range of crimes to enrich themselves, including multiple acts of extortion, fraud, and bribery. Among other things, he directed the long-running extortion of a union official (Official-1) for annual tribute payments of more than $10,000, and had several lower-ranking members of the enterprise collect money and convey threats to the official on Esposito’s behalf. In another extortion scheme, his co-conspirators extorted a different union official (Official-2) and a financial adviser for a cut of commissions made from union investments. At the time of his arrest, the FBI executed a search warrant on his home and seized more than $3.8 million in U.S. currency hidden throughout the residence, along with an unregistered handgun, ammunition, brass knuckles, and lists of made members of the Genovese Crime Family. Berman also announced that two other co-defendants, Frank Cognetta and Vincent D'Acunta, both former union officials, previously pled guilty to conspiracy to commit racketeering. As part of the conspiracy, D'Acunta participated in the extortion of Official-1. Also as part of the conspiracy, Cognetta engaged in various schemes to defraud his union of his honest services by, among other things, soliciting and accepting bribes and steering union benefit plans into investments in exchange for kickbacks, which resulted in more than $1 million in unlawful payments. “As he admitted today, for more than a decade Vincent Esposito made millions with members of the Genovese Crime Family by extorting payments, demanding kickbacks, committing fraud, and instilling fear," said U.S. Attorney for the Southern District Geoffrey S. Berman. Esposito, and four other reputed Genovese mobsters were nabbed in January 2018 and charged with running a longtime racketeering scheme involving extortion and other crimes. Cash found at Esposito's house. 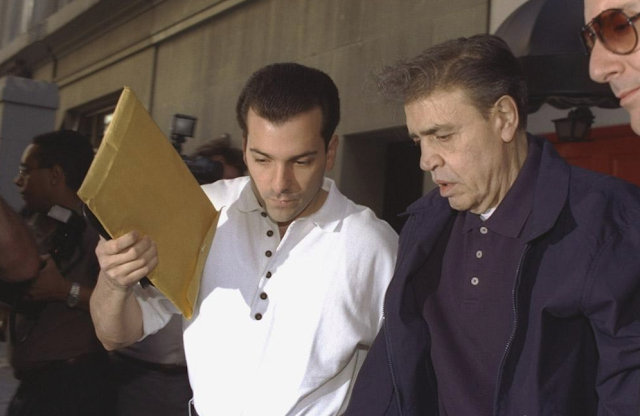 The Feds initially tried to deny Esposito bail on the grounds that he is a "high-ranking and influential member of the Genovese Family who is willing to use threats of violence to further the enterprise, who has the ability to follow through on those threats, and who maintains a network of criminal associates willing to make threats on his behalf." That is based on the nearly $4 million they found in his residence, as well as weapons and lists of made members. Whether Esposito is even a made member is an open question. The Fed's don't describe Esposito as having a specific rank, instead using the vaguely menacing rubric of high-ranking figure. 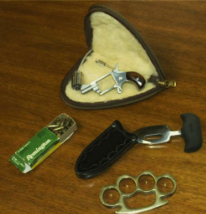 The weapons found in his home are difficult to take seriously: they resemble inexpensive items purchased in a souvenir shop (see image below, sometimes a picture can't take the place of words). The Feds acutally found "two lists of made members of the Genovese Family hidden in Esposito’s residence. One of those lists consists of certain made members of the Family based in New Jersey who died within the last 20 years, while another list contains certain living members of the Family, all in one crew, and also based in New Jersey," as per an appeal letter Bermano wrote to the US District Judge of New York's Southern District Victor Marrero. The letter was to oppose the pretrial release of Esposito. 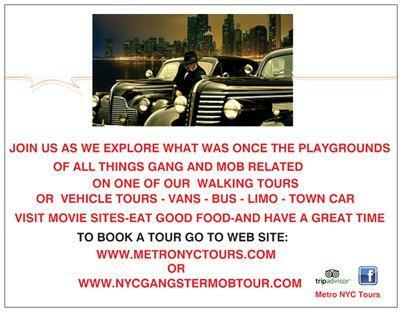 It details some interesting background information about the New York Mafia today. The deadly weapons found at Esposito's house. Vincent Esposito has an ownership interest in numerous properties, including the Upper East Side townhouse where he was arrested, which is worth an estimated $12 million. He also has a piece of a Harlem property worth at least $5 million and other properties he declined to divulge in a pretrial interview. Each crime family has a "slush fund," as the FBI calls it. Which is interesting considering that by calling it a slush fund (a reserve of money used for illicit purposes, especially political bribery), it is implied that crime families also have licit funds. Specifically,the letter notes: "Esposito is in control of Genovese Family slush funds. Organized crime families of La Cosa Nostra have long maintained slush funds to serve a variety of purposes for the family, including paying for the legal fees of incarcerated members and funding extortionate loans through loansharking. ... At the time of his arrest, the FBI seized almost $4 million in U.S. currency hidden in the defendant’s residence, along with an unregistered handgun, ammunition, brass knuckles, and lists of made members of the Genovese Family. Further, the defendant lied to Pretrial Services about his assets and possession of a firearm. In light of these and other facts discussed below, the defendant should be detained pending trial to ensure the safety of the community and his appearance at trial. On January 10, 2018, a ten-count Indictment (the “Indictment”) was unsealed charging five defendants with various crimes. Relevant to this letter, the defendant is charged in Count One with participating in a long-running racketeering conspiracy from at least in or about 2001 to in or about October 2017, in violation of Title 18, United States Code, Section 1962(d). Count Two charges the defendant with participating in a Hobbs Act extortion conspiracy from in or about 2001 through in or about 2015, in violation of Title 18, United States Code, Section 1951. A $6 million bond, co-signed by three financially responsible persons and secured by the defendant’s Upper East Side townhouse (with an estimated value of approximately $12 million). Judge Moses further ordered that all bail conditions would have to be satisfied before the defendant was released. At this time, the defendant has not met all conditions set by Judge Moses and remains detained. 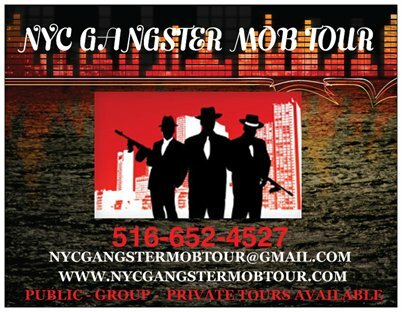 The charges against the defendant arise from his leadership role in the Genovese Family, a violent and sophisticated criminal organization with significant financial resources. The danger the defendant poses if bailed, and his incentive to flee the charges against him, stem in large part from the dangerous nature of the Genovese Family, and the crimes the defendant committed as part of it. This letter therefore discusses the Genovese Family as a whole and then examines the specific statutory factors as they apply to the defendant. To become a made member of LCN, an individual must be male and Italian. Originally, LCN families could initiate new members only to replace a deceased member, which ensured that the families maintained their relative sizes and did not dilute their talent pools in an effort to become larger. Later, these rules were adjusted to allow each family to add a small number of additional members each year even absent the death of an existing member. Once a new member is proposed, the member’s name is circulated to all five families for review and approval. After the new member is approved, the family holds a secret, ritualistic induction ceremony, after which the newly-inducted member is introduced to other members of the family. Count One of the Indictment charges Esposito with participation in the Genovese Family racketeering enterprise, and the predicate acts for that charge include multiple acts of extortion, among other offenses. One of those acts is the long-running extortion of a union official (“Official-1”) for annual tribute payments of over $10,000 (the “Annual Payment Extortion”), which is also charged separately in Count Two as a Hobbs Act extortion conspiracy. Counts One and Two both constitute “crimes of violence” under § 3142(g), weighing in favor of detention here. See United States v. Ciccone, 312 F.3d 535, 542 (2d Cir. 2002) (holding that extortion, and racketeering conspiracy charging extortion as a predicate act, are crimes of violence under the Bail Reform Act). 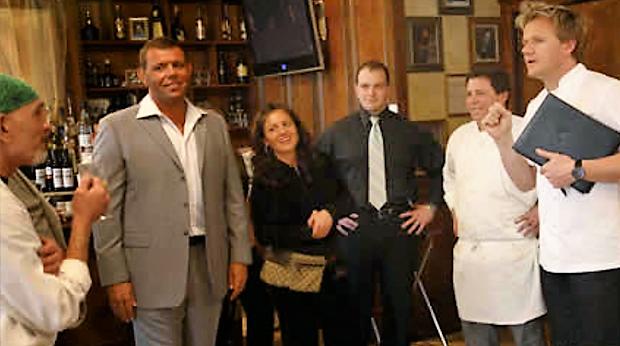 Esposito directed and managed the Annual Payment Extortion, and had a number of lower-ranking members of the enterprise, including defendants Vincent D’Acunto and Steve Arena, collect money and convey threats to Official-1 on Esposito’s behalf. In another extortion scheme, defendants Steve Arena and Frank Giovinco, acting under the supervision of Esposito, extorted a different union official (“Official-2”) and a financial adviser (the “Adviser”) for a cut of commissions made from union investments (the “Commission Payment Extortion”). During one covert recording of Official-2 on September 19, 2017, Official-2 (who was not aware he was being recorded) reported to the Adviser that Arena and Giovinco were “threatening my life” and that he was worried because he did not know what Arena and Giovinco were telling the “higher ups” in the Genovese Family. 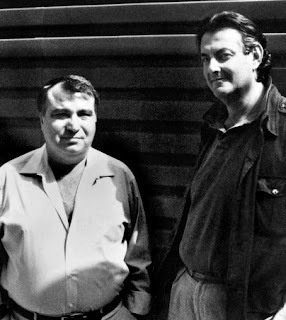 Esposito’s leadership role in the enterprise is demonstrated by two important pieces of evidence that are typically reserved for high-ranking members within La Cosa Nostra. 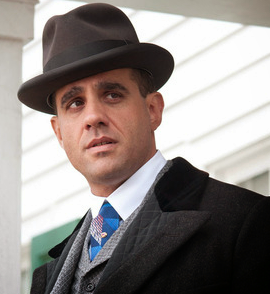 First, the evidence shows that Esposito is in control of Genovese Family slush funds. Organized crime families of La Cosa Nostra have long maintained slush funds to serve a variety of purposes for the family, including paying for the legal fees of incarcerated members and funding extortionate loans through loansharking. Historically, only individuals in positions of authority have been tasked with maintaining control over such funds. Here, wiretap intercepts of Esposito’s cellphone captured him discussing the collection and disbursement of funds with other members of the Genovese Family. 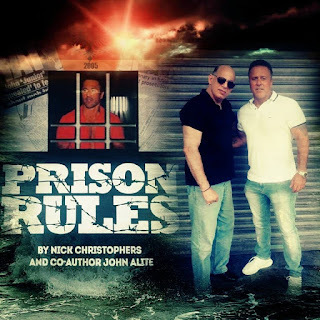 For example, on October 17, 2015, Esposito had a call with another individual about providing funds for the legal representation of the former consigliere of the Genovese Family, who was incarcerated. Esposito’s role as one of the individuals who holds the purse strings for Genovese Family funds is further confirmed by the fact that the FBI seized approximately $3.8 million in U.S. currency from Esposito’s residence. Second, the FBI also found two lists of made members of the Genovese Family hidden in Esposito’s residence. One of those lists consists of certain made members of the Family based in New Jersey who died within the last 20 years, while another list contains certain living members of the Family, all in one crew, and also based in New Jersey. As discussed above, whether or not LCN families can make new members has traditionally been based, in part, on the number of active and deceased members, and is reserved for individuals at the captain level or higher. The maintenance of such lists tracking living and dead members in a particular area are indicative of an individual responsible for making assessments about the induction of individuals into the Family, and thus having a high rank in the Family. In sum, the offense conduct shows that the defendant is a high-ranking and influential member of the Genovese Family who is willing to use threats of violence to further the enterprise, who has the ability to follow through on those threats, and who maintains a network of criminal associates willing to make threats on his behalf. The defendant would thus pose a clear danger to the community if he were bailed. The offense conduct also demonstrates that the defendant has significant undeclared financial resources and connections to a wide-ranging and powerful criminal network. In light of these facts, the nature and circumstances of the defendant’s offenses demonstrate that, if bailed, the defendant poses a significant risk of flight. The evidence against the defendant is strong. The evidence includes, among other things, a cooperating witness (Official-1) who was directly extorted by Esposito; numerous in-person and covert recordings of lower-level members of the enterprise collecting money and conveying threats on behalf of Esposito; a wiretap of Esposito’s phone which captured him discussing extortion, the enterprise’s finances, and other related enterprise matters; the seizure of a handgun, brass knuckles, and over $3.8 million in U.S. currency from the defendant’s residence; and surveillance photographs of the defendant meeting with other members of the Genovese Family. The defendant’s history and characteristics also favor detention. 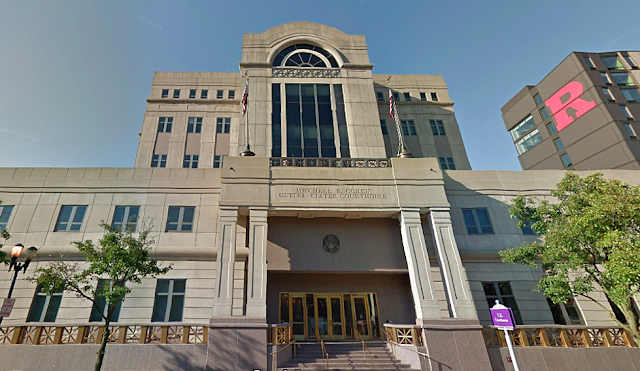 As discussed above, the defendant has participated in a number of different acts of extortion and possessed brass knuckles, a holstered knife, and an unlicensed firearm and ammunition. While the defendant has no criminal record, the evidence, in this case, indicates that he has engaged in serious criminal conduct from at least 2001 through the present. The defendant also has access to extensive financial resources, both individually and by virtue of his membership in the Genovese Family. The defendant has an ownership interest in numerous properties, including an Upper East Side townhouse worth an estimated $12 million, a Harlem property worth at least $5 million, and other properties for which he declined to provide addresses in his pretrial interview. As demonstrated by the fruits of the search of the defendant’s residence, he maintains massive quantities of cash on hand. Further, the defendant’s willingness to lie to Pretrial Services about his financial resources (as well as his possession of a firearm) demonstrates that he cannot be trusted to comply with any conditions of release. The nature and seriousness of the danger the defendant presents is clear: as discussed above, he is a high-ranking and influential member of the Genovese crime family who is willing to use threats of violence to further the enterprise, who has the ability to follow through on those threats, and who maintains a network of criminal associates willing to make threats on his behalf. The defendant would thus pose a clear danger to the community if he were bailed. IV. Conclusion For the foregoing reasons, the Government respectfully submits that the defendant poses a danger to the safety of the community and a risk of flight, and should therefore be detained pending trial.